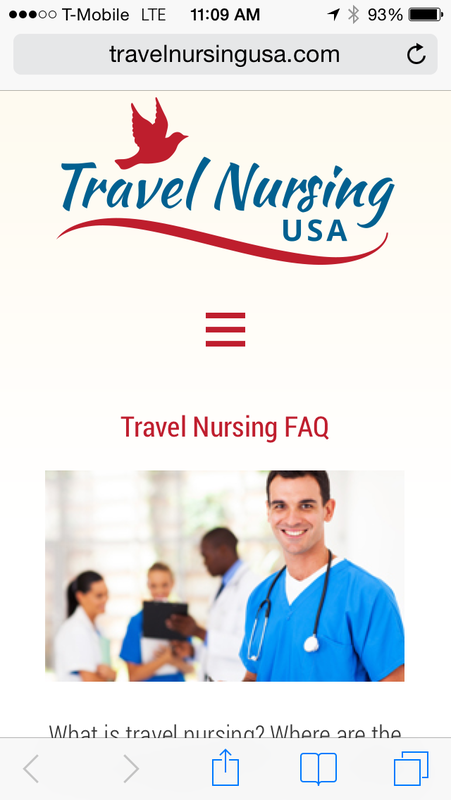 Would you like to add TravelnursingUSA.com to your iPhone so you can check for new travel nursing jobs postings and blog posts with a simple single click? A lot of us are not aware how simple this is to do. Let me show you. 1. Go into your browser and type “www.travelnursingUSA.com” into the address bar (or just click on the link). 2. At the bottom of the page look for an icon which is a rectangle with an arrow pointing up. Select it. (Older phones may have a square with a right arrow instead). Voila! You now have an visual bookmark that will take you directly to the site with one easy step. PS: You may also want to do the same thing for our “Weekly 25” listings of new hot travel nursing jobs. Follow the same procedure above at this link. One final tip. You might want to shorten the title before you press the “Add” button to make it easier to read on your smaller screen.